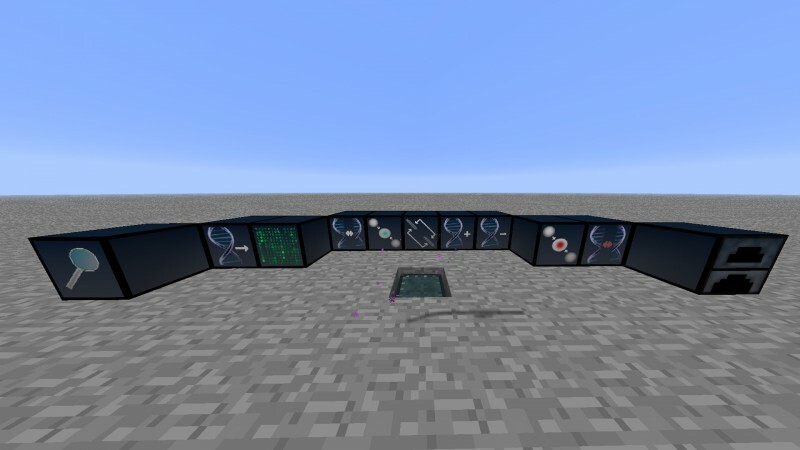 Advanced Genetics adds Genetic-Science to Minecraft in Attack of the B-Team. There are 7 core machines needed to properly use this mod, and 6 optional machines. This is an addition to several items used for gathering, used in crafting, or used in conjunction with genetic abilities. All machines will require power, and the mod comes with a Combustion Generator if no other mods with compatible power are available. Thermal Expansion 3's power works with it. The required machines are as follows; DNA Analyser, DNA Extractor, DNA Decrypter, DNA Splitter, DNA Breeder, Centrifuge, DNA Combiner.